There are many other tools and weapons that a ninja keeps hidden - either concealed in the pockets of their dark ninja outfit, or pre-set in places where they're going to be fighting, or stored in the dojo where they train. 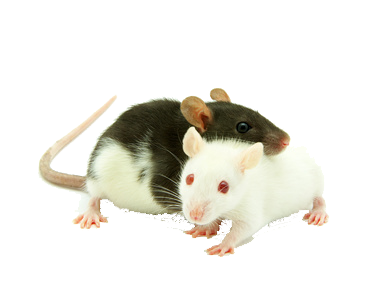 My favourtite tools are my rats - Bushi and Akira. They travel in my pockets on secret missions and can be sent to spy in the smallest places. Even better, they can cause chaos by running through a crowded street, distracting everyone long enough to give me valuable time to spy or escape or carry out another daring ninjutsu act. Although ninjutsu sometimes appears to be magic, it's the result of really tough training and smart thinking - it's nothing for my Sensei-san (Yazuki) to make me spend hours submerged in an ice cold pond with only a reed to breathe through. Or for me to sprint for hours on end with a straw hat placed on my chest - kept there just by the force of the air as I run. I'm lucky that I have highly tuned perception, hearing and night vision. My mum made sure of that. I've learned to 'fly', using Yazuki's monkey-like acrobatic skills, I can climb walls and scale ceilings, stalk the enemy like a cat, blend into the environment - my shimmering form changing colour with the night. I can even appear to walk on water and disappear before my enemy's eyes. 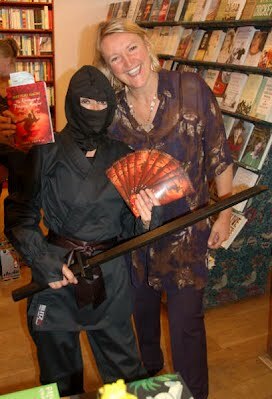 It's great being a secret ninjutsu warrior - until an evil renegade Kataki comes looking for you!